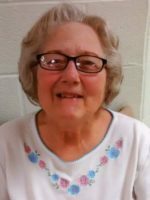 Verna passed away Thursday, April 27, 2017 at her home in Otsego. She was born January 23, 1926 in Louisville, KY the daughter of Walter and Catherine (Lennart) Hartlage. Verna had worked at Tripps Department Store and had upholstered furniture for a short time. She loved to cook and enjoyed volunteering in the kitchen at Peace Lutheran Church making school lunches. Verna also enjoyed sewing and making crafts and had taken many items to the large craft show in Louisville. 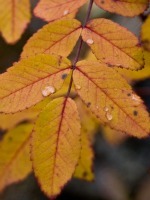 She was an active member of Peace Lutheran Church of Otsego. On May 13, 1944 in Aiken County, South Carolina she married Malcom Barton who passed away in 2009. Surviving are her children, Patricia (John Delmar) Farmer of KY and Lewis (Ruth) Barton of Otsego; 8 grandchildren; several great-grandchildren; sisters, Velma Hatler and Rosemond Morris along with many nieces and nephews. She was preceded in death by her parents; husband; son, Michael and granddaughter, Tracy Barton. Friends may visit with Verna’s family from 4:00 P.M. -- 6:00 P.M. on Sunday, April 30, 2017 at the Winkel Funeral Home, Otsego. A graveside service will take place at 11:00 A.M., Monday, May 1, 2017 at Mountain Home Cemetery, Otsego with Pastor Nathaniel Timmermann officiating. Contributions in memory of Verna may be made to Peace Lutheran Church of Otsego or to Wings of Hope Hospice. 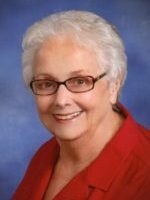 Diane M. Conklin of Otsego, passed away Saturday, April 22, 2017 at Alamo Nursing Home. She was born November 24, 1947 in Plainwell the daughter of Motley and Garnet (Story) Tefft. Diane was a caregiver her entire life, it was her occupation and it was who she was. In her spare time she enjoyed going for rides, watching television and eating meals with her family at Burger King and other local restaurants. She had attended the First Baptist Church of Otsego and the First Congregational Church of Otsego. Surviving are her sisters, Mary Ann (Mark) Kleinbrink, Sandra Tefft and Margaret Pfau along with several nieces and nephews. She was preceded in death by her parents and husbands, O.D. Rice in 1987 and Larry Conklin in 2007. Friends may meet with Diane’s family starting at 10:00 A.M., Wednesday, April 26, 2017 at the Winkel Funeral Home until the time of the funeral service at 11:00 A.M. with Pastor Paul Laborde officiating. Burial will follow at Mountain Home Cemetery, Otsego. In lieu of flowers contributions in memory of Diane may be made to the Alzheimer’s Association. 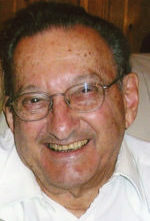 Jerald Marcus of Kalamazoo, MI passed away at Brookdale Senior Living in Portage on April 22nd. Jerald was born on June 9, 1934 in Ellsworth MI. to Lambert and Bernice Marcus. He graduated from Michigan State University in 1956 with a degree in Mechanical Engineering. Jerry was a member of the Pi Tau Sigma National Honorary Mechanical Engineering Fraternity, and the Tau Beta Pi Fraternity. He was employed with Chrysler Corporation after college and worked in their missile guidance systems division. This led to a position in which Jerry was involved in the development of guidance and tracking systems for the Apollo space program. He also held a patent on the Poppet Diaphragm Valve he invented in 1991. Jerry retired as an engineer from Parker-Hannifin in 2000. Jerry loved anything to do with aerospace, including flying his own plane. He built small engines and model airplanes, and had a vast knowledge of the World Wars and the Civil War. 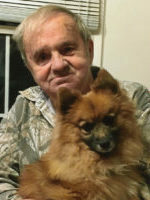 Jerry also loved his constant companion “Blackie”, his Pomeranian dog. We would like to thank Stay Home Companions and their employees who provided wonderful care to Jerry over the last 18 months. According to his wishes burial has taken place at Blythefield Memory Gardens, 6200 Brewer Ave NE, Belmont, MI. Donations in memory of Jerald may be made to the Kalamazoo Air Zoo, where he was a lifetime member, or to the Kalamazoo Humane Society. Ruth passed away Thursday, April 20, 2017 at her home in Kalamazoo. She was born June 12, 1935 in Otsego the daughter of Albert and Helena (Jager) Lindsey. Ruth graduated from Western Michigan University with her Masters of Education Degree and became an elementary school teacher. She has also worked at Jacobson’s as the Manager of the china department and at WMU where she had worked in the Financial Aid Department and was Conference Coordinator for the Paper Sciences Department. Ruth was an avid “foodie” who enjoyed cooking and discovering unique restaurants. She was also a beloved member of “The Potluck Group” which consisted of lifelong friends. Ruth and Robert traveled often, many times for sightseeing, but also for the thrill of the hunt for another of her passions, collecting antiques. She had a wonderful collection of fine china, copper molds for baking and burl wood bowls. She was also a member of the Kalamazoo (County) Association of Retired School Personnel. On July 30, 1966 at the First United Methodist Church of Kalamazoo she married Robert Peterson who passed away in 2009. Surviving are her children, Erik (Christy) Peterson and Jon (Lisa) Peterson and step-grandson, Nick Devitis. She was preceded in death by her parents, husband, in-laws and step-brother, LaVerne. A memorial service will be held at 2:00 P.M., Thursday, April 27, 2017 at the First United Methodist Church of Kalamazoo with Rev. Steve Charnley officiating. Contributions in memory of Ruth may be made to the First United Methodist Church of Kalamazoo or to Hospice Care of Southwest Michigan. Fred passed away peacefully on Thursday, April 20, 2017 at the Wings Home in Allegan surrounded by his family. He was born April 12, 1943 in Otsego to Raymond and Mildred (Brainard) Misner. Fred had worked for several years at Menasha in Otsego until his retirement. He loved hunting, camping, fishing, watching old Westerns and following NASCAR. He was an avid collector of Dale Earnhardt Sr. memorabilia. He was a wonderful father, grandfather, great-grandfather, son, brother, uncle and companion. He had a passion for drinking coffee, eating good food and pie, especially at Judy’s Restaurant, and shared many loving memories with family and friends. Surviving are his companion, Alice Comai and her daughter, Melissa (Brad) Packard; 2 brothers, David (Karen) Misner of Martin and Dennis (Barbara) Misner of Cody, WY; his aunt, Shirley of Plainwell; children, Steve (Kathy) Penny of Olivet, Greg (Carrie) Penny of Allegan, Jackie (Scott) Delpiere of Allegan, Fred Jr., Karen (Sean) Goolsby, Kathy Knobloch all of Kentucky and Julie (Phil) Osgood of Plainwell; many grandchildren and great-grandchildren. He was preceded in death by his parents; brothers, DuWayne, Rick and Rayme Misner; son, Larry and granddaughter, Macy. Friends may meet with Fred’s family from 2:00 P.M. -- 5:00 P.M., Sunday, April 23, 2017 at the Winkel Funeral Home, Otsego where a funeral service will be held at 2:00 P.M., Monday, April 24, 2017 with Pastor Derek Noorman officiating. In lieu of flowers contributions in memory of Fred may be made to the Wings Home of Allegan, 530 Linn St., Allegan, MI 49010. Victor passed away Thursday, April 20, 2017 at Life Care Center in Plainwell. He was born January 28, 1922 in New York City to Joseph and Rose (Eder) Suglia. Vic served his country in the US Army Airforce during WWII. He earned a bachelor’s degree in Journalism from New York University and had owned and operated City Janitor Service Company from 1975 until 2000. On November 28, 1986 he married Marcella Hickman who survives. Also surviving are his children, Philip M. (Laura) Suglia and Joseph P. (Karen) Suglia; step-children, Shirley (Jack) Hawley, Mark Kahlmorgan, Patricia (Roger) Heckman and Brian (Jacqualyn) Kahlmorgan; 2 grandchildren Philip E. and Ryan Suglia; step grandchildren, Shannon (Dan), William “Jamie” (Kristin), Corey (Debra), Jessica (Adam), Amanda (Sean), Damon (Kerri), Tim, Eric (Monica), Keith, Christopher, Danielle, Andrew, Mindy (Chandra) and Kevin (Anna) and their children, Courtney, Emma and Devin; several great-grandchildren; step-great-grandchildren and great-great-grandchildren including Landon, sister, Gloria Orzo along with many nieces and nephews. He was preceded in death by his parents; first wife, Rosalind; sister, Vincenza and by his brother-in-law, Al Orzo. Friends may visit with Vic’s family starting at 10:00 A.M., Monday, April 24, 2017 at the Winkel Funeral Home, Otsego, where a funeral service will take place at 11:00 A.M. with Pastor Stephen Tucker officiating. Burial of ashes will take place at Mount Ever-Rest Memorial Park North at a later time. Contributions in memory of Vic may be made to Kalamazoo AMBUCS or Life Care Center of Plainwell. Edward Michael Jamieson born March 30, 1944 in Dearborn, Michigan, passed away Tuesday, April 4, 2017 at 8:05 P.M. of Pulmonary Fibrosis. He had been sick for some time and had also suffered with dementia and congestive heart failure. 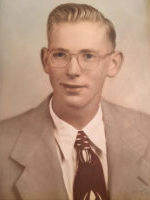 Born to Clarence and Lydia Koppitsch, he had a brother, John “Jack” (Millie) Jamieson; nephew, Joe (Danielle) Jamieson and their children, Andrew and Jorden of Holly, MI; niece, Sherri (Christopher) Gee and their children, Preston and Sophie of West Bloomfield, MI; over 61 first cousins among the three families, Jamieson, Koppitsch and LaForge. He moved to Allegan County many years ago and became a family with everyone at E.P.E.R., Heather, Tyler Maricle and MJ Lesterhouse (were so close to him, he was like a son since the day he was born). Christian Lobretto (adopted son so to speak) spent many years with Edward on the shooting range, building cars and woodworking. Martin, AJ, Kevin, Cali and Holli he bonded with as well. He lived with Liss Edminister for many years and they were rarely apart. Liss has seven children and while he spent more time with some than others they were his reason to thrive. He in fact fought as long as he could because he loved them so much he couldn’t bear to leave. He enjoyed holidays and home cooked meals, a kind caring soul that once you met him you never forgot him. Ed and Liss got along like an old married couple and enjoyed antiquing and did yard sales. They went to fairs and were always looking for an adventure. Edward loved Liss very much and although she preferred to be family and a friend he always wanted much more. She had the pleasure of being by his side taking care of him around the clock as long as she could but last month he had to go into a facility and she was there as much as she could be to hold his hand and was with him as he passed. He hated his picture taken but always took pride in his grooming. He even dyed his beard until December and had Liss trim it all the time. He spent hours making crafts with the kids and enjoyed being active and being a part of creating their nonprofit spiritual center. He and Liss made many hand crafted items together and took them to fairs to sell. He loved putting money from such things into events like their egg hunt, just to see the smiles on the kids’ faces. If Edward thought you needed it he would give you the shirt off his back. In the years past not everyone was kind to him which made having Liss and her family mean that much more. They know he is watching over all he cares about, may he rest in peace. A reception of tea and cookies along with Honor Guard presentation of the flag to MJ Lesterhouse for Edward’s service in the US Army will be held Saturday, April 22, 2017 at 10:00 A.M. at 360 26th St. Otsego, MI 49078. A memorial service will be held Sunday, April 23, 2017 at 12:00 P.M. with lunch followed by a speech with balloons and candles at the same location. Contributions in memory of Edward may be made to E.P.E.R. or to Liss Edminister for expenses. Betty passed away Monday, April 10, 2017 at Fulton Manor in Grand Rapids. She was born November 29, 1929 in Allegan the daughter of James and Hazel (VanKeuren) Hays. For many years she had worked at Mead Paper Company until her retirement in 1979. She enjoyed decorating her home, working in her yard and going to garage sales and flea markets. On June 15, 1946 in Otsego she married Harold Goodacre who passed away in 2004. 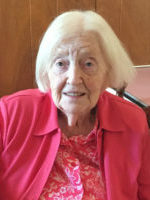 Surviving are her children, Carolyn (Bill) MacHenry of Kalamazoo, Mary (Jim) Connette of Ohio and Harold “Bud” Goodacre of Kalamazoo; 5 grandchildren and 11 great-grandchildren. She was preceded in death by her parents; husband; daughter-in-law, Ginny Goodacre and siblings, Marv Hays, Jud Hays and Elaine Cooley. Contributions in memory of Betty may be made to Holland Home Activities Fund. Jean Doris Taylor passed away Saturday, April 8, 2017 at her home in Cooper Township. She was born March 3, 1925 in Zeeland the daughter of George and Emma (Beld) Pyle. Jean served her country in the Women’s Army Corps during WWII. She graduated from Western Normal and enjoyed reading, researching genealogy and providing kitty retirement heaven to many beloved cats. Jean lived out her Christian faith in the way she showed love to her family. On December 9, 1949 in Kalamazoo she married Gene Taylor who passed away in 2016. Surviving are her daughter, Carol (Jim) Dennis of Plainwell; son-in-law, Phillip Harpootlian of Simpsonville, SC; grandchildren, Aaron (Rebekah) Dennis, Nathan Dennis, Ryan Dennis and Andrew Harpootlian and great-grandchildren, Alex, Hannah, Addison and Jasmine Dennis. She was preceded in death by her parents; husband; infant sister, Lorraine Pyle and recently her daughter, Sandra on February 23, 2017. A graveside service will be held at 1:00 P.M., Friday, April 14, 2017 at Mount Ever-Rest Memorial Park North in Kalamazoo. Contributions in memory of Jean may be made to Immanuel Fellowship Church of Kalamazoo or to Great Lakes Caring Hospice.